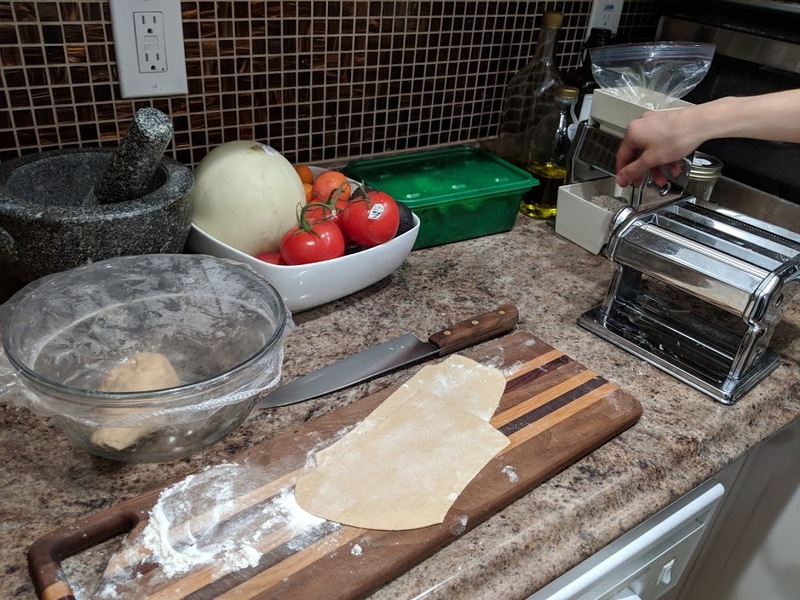 With C, the homemade noodle enthusiast, visiting, it was the perfect time to get out the noodle machine! We made two big batches of noodles with the fancy Grist and Toll flour + 00 flour to smooth out the whole wheat. Rolling out the dough. 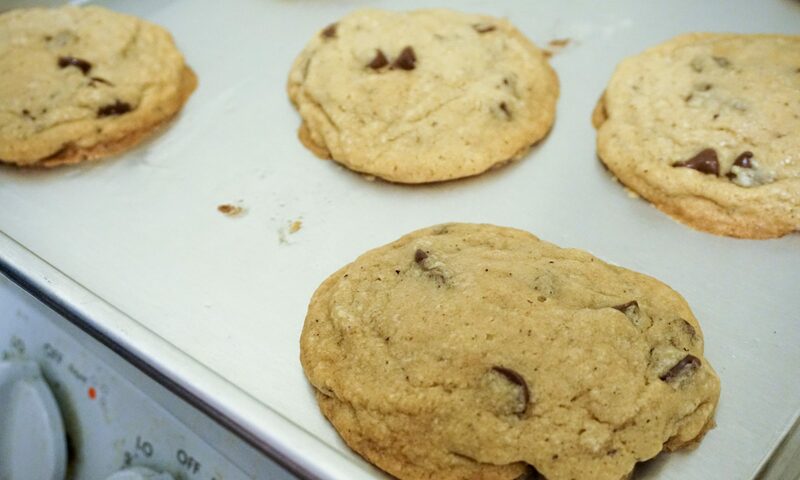 Occasional clay bits appeared in the dough. 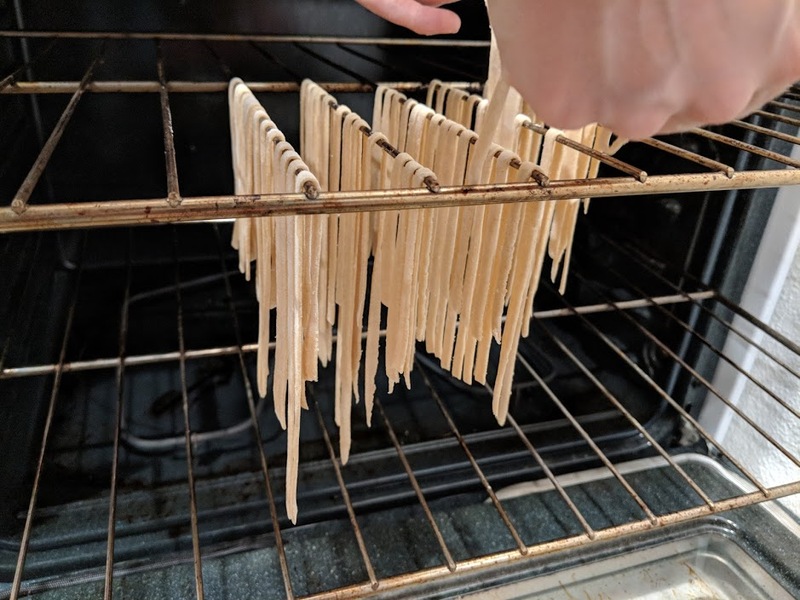 Hanging the noodles to dry in the oven, although they can be cooked and eaten immediately. Once dry, the noodles can be stored at room temperature!